These gifts will give you a one-up on friendship. 1. A Nintendo 64 cartridge soap they don't have to blow on before using in the shower. Get it from Firebox for $15.49 (available in four games). 2. A Chain Chomp light that sadly doesn't bark, but does swivel for optimum lighting. Get it from ThinkGeek for $69.99. 3. 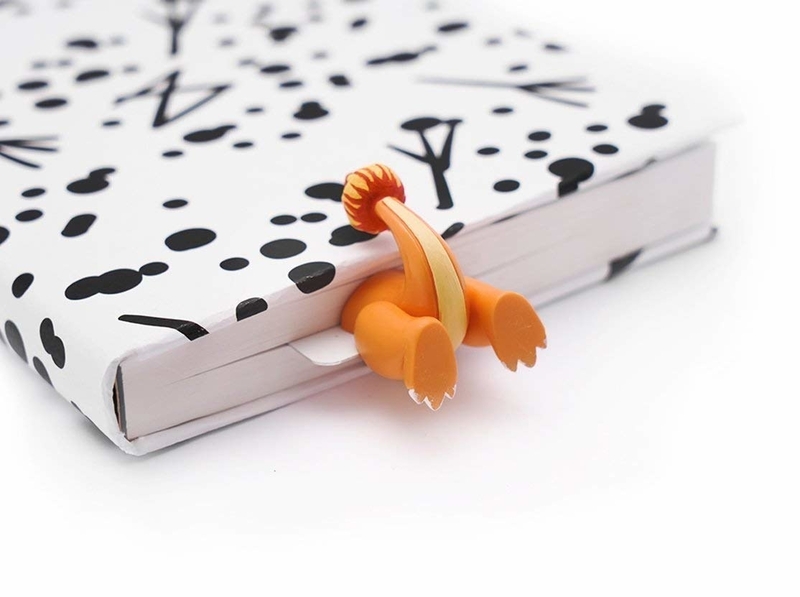 A Charmander or Meowth bookmark perfect for keeping place in old Nintendo Power issues, no ~butts~ about it. Get the Charmander or the Meowth from MyBookmark on Amazon for $27. 4. A Triforce ring to give to the person who you consider the source of your power, wisdom, and courage. Get it from BlankByBlank on Etsy for $26.66+ (available in sizes 6–8 and two finishes). 5. 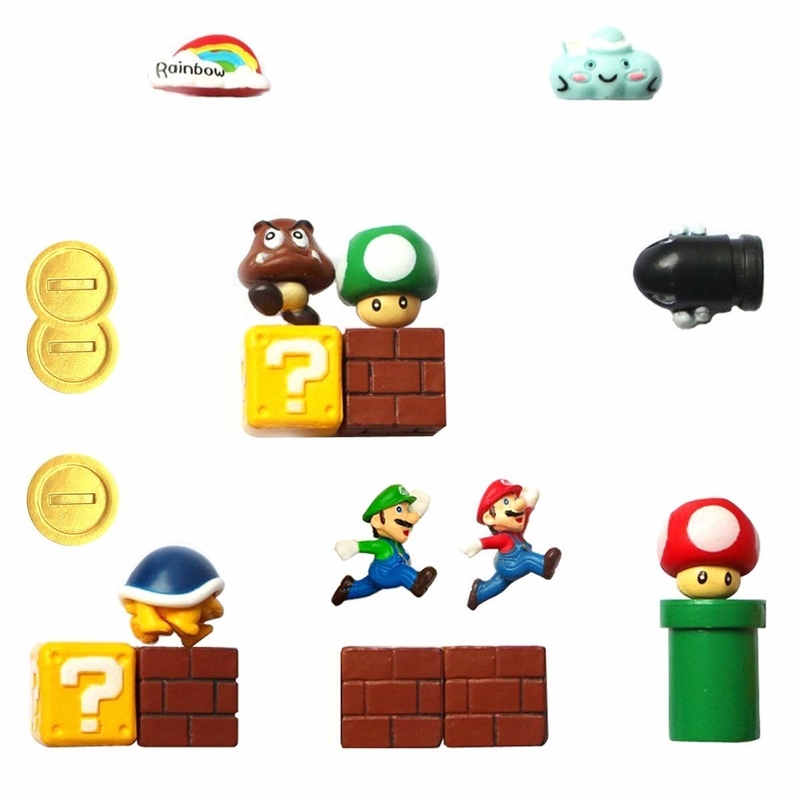 A set of Super Mario magnets so they can recreate their favorite levels. Get a set of 18 from Amazon for $17.59. 6. A Gameboy watch with working buttons and a feature to play Super Mario Land sounds. 7. Or a Gameboy alarm clock that makes wayyy better sounds than their iPhone alarm. Get it from Amazon for $30 or Firebox for $32.19. 8. A roll of surfing Pikachu washi tape perfect for hanging up all their best Pokemon Snaps. Get it from TigerIncognita on Etsy for $10. 9. A shirt to give to your pal who might only be your friend because you both have weird mustaches and bully talking toadstools. At least you both crush at tennis. Get it from bransonreese on Teepublic for $14 (available in sizes S–5XL and six colors). 10. An adorable plush Makar that jingles when you shake him (!!!) and maybe, if you're really lucky, will play you a haunting song on his violin. More of a Breath of the Wild fan? Check out this collection of Korok plushes! Get it from Fletcherable on Etsy for $33.64. 11. A sweetheart enamel pin dedicated to their favorite pink Pokémon. They'll find these Clefairly a-Mew-sing, and maybe worth singing about. Get it from CosmicMermaidPins on Etsy for $14.02 (available in three Pokemon). 12. A Mario-inspired chess board sure to be the most fun game in the Mushroom Kingdom. Get it from Amazon for $43.97 or Firebox for $64.39. 13. A Gameboy necklace with — get this — three interchangeable game cartridges that slide in and out of the pendent. The laser cut wood games are double-sided so they're visible in the Gameboy window. Get it from AdorbsRini on Etsy for $38. 14. A Pikachu lamp that clearly knows Flash, no HM05 needed. 15. A set of Animal Crossing stickers fit for your favorite mayor. Get a set of eight from 99Valentine on Etsy for $8+ (available with or without holo sparkles). 16. A heat-changing Gameboy mug that turns on as gradually as they do after sipping on their morning joe. 17. A Yoshi egg bath bomb with a surprise friend inside. 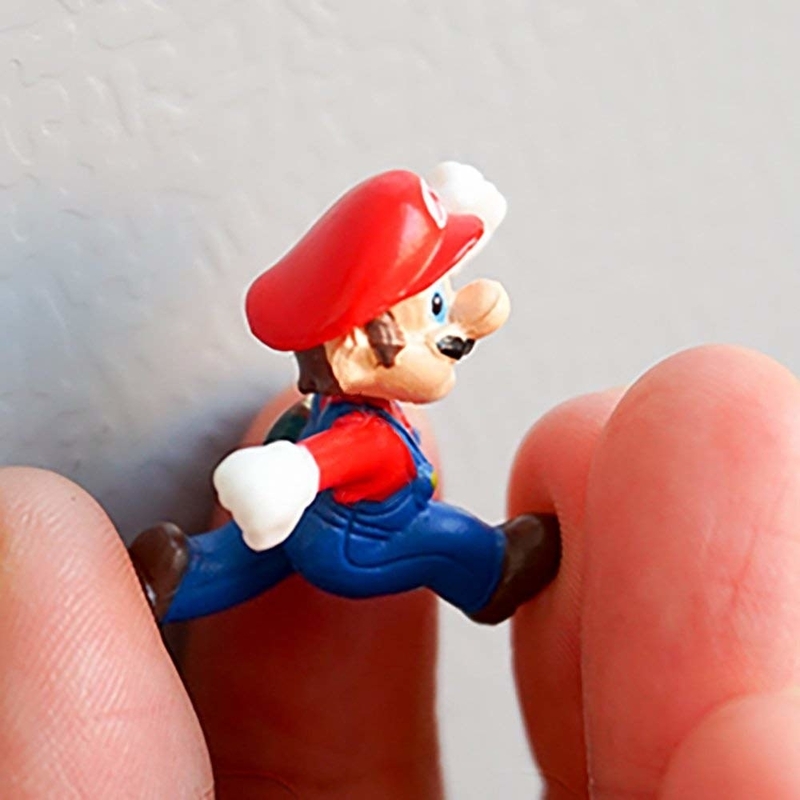 It smells like creamsicle and comes with one Mario figure. Get it from BellBathBombs on Etsy for $13.50. 18. A Donkey Kong mug that's a barrel of laughs. Get it from Amazon for $14.99 or Firebox for $16.79. 19. A glowing mushroom light they'll have a fun(gi) time using. Get it from Firebox for $19.29. 20. A wood pin featuring a villager they love so much, they wouldn't even get mad if they sold them a fake painting. The options are: Beau, Bunnie, Butch, Flip, Fuchsia, Isabelle, Lilly, Marshall, Punchy, Rosie, Stella and, Stitches. Sadly, Kid Cat and Tex are not present. 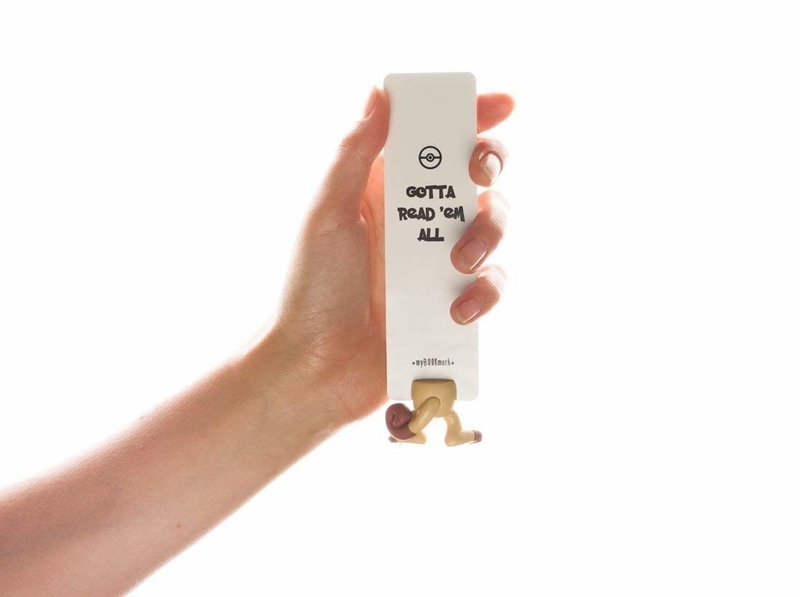 :NotCoolCo on Etsy for $7 (available in 12 characters). 21. A Piranha Plant puppet for getting hyped before its arrival in the new Super Smash Brothers. It doesn't spit fireballs, but might pair nicely with a bottle of Fireball whisky. Get it from ThinkGeek for $14.99 or something similar from Amazon for $22.97. 22. A Lucas sticker sure to make their laptop the best decorated one in all of Tazmily Village. Get it from Sharkade on Society6 for $2.99+ (available in four sizes). 23. A sassy Blue Shell enamel pin that might give them chills just to look at it. Get it from PinMeRightRound on Etsy for $10. 24. Joy-Con controller grip kits to make destroying them in Mario Kart hurt a little less (for their thumbs, at least). Get two from Amazon for $11.99 (available in four colors). 25. A Yoshi enamel pin they'll think is just dino-mite. Get it from PuddleBunny on Etsy for $7. 26. 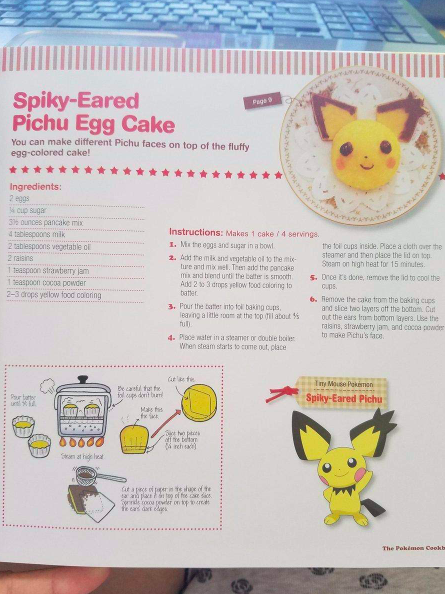 A Pokémon cookbook that thankfully doesn't require any actual Pokémon in the ingredient list. 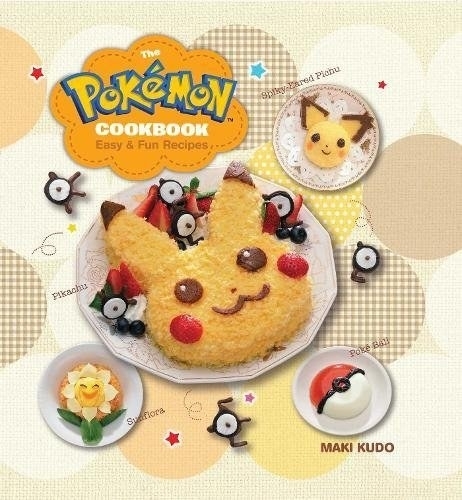 Maybe it will teach them how to make those jelly-filled doughnuts. Get it from Amazon for $12.66. 27. A Legend of Zelda encyclopedia to really bolster their knowledge of Hylia lore. Get it from Amazon for $27.98, Barnes & Noble for $31.99, Indiebound, or find a copy at your local library. 28. A Super Smash Brothers keychain to help them rep their go-to player. Get it from astropill on Etsy for $12+ (available in 15 characters). 29. A ringer tee for your friend who looks back on old consoles with a rose-colored TV screen. Get it from Torrid for $38.90 (available in sizes 10–28). 30. A gorgeous Ocarina of Time soundtrack vinyl set so they can relive all of their favorite songs in a totally new way. The soundtrack was played by the 64-piece Slovak National Symphony Orchestra. It comes with two records and album art by Ryan Brinkerhoff. Get it from IAm8Bit for $40. 31. An embroidered patch for the friend who's always trying to turn a ~New Leaf~. Get it from PatchForestShop on Etsy for $3.59. 32. A realistically illustrated tapestry featuring the whole Star Team. Get it from Gallery 94 on Society6 for $35.99+ (available in three sizes). 33. A Metroid sticker that says, "hey, I think you're a parasite but I still love you." Get it from MinuteSarah on Etsy for $1.12. 34. A Mario-covered suit for the dapper gamer in your life. Get it from OppoSuits for $119.99 (available in sizes 36–52). 35. And a super sweet Kirby keychain to give to the star video game player in your life. Get it from ArcadeHealer on Etsy for $6.